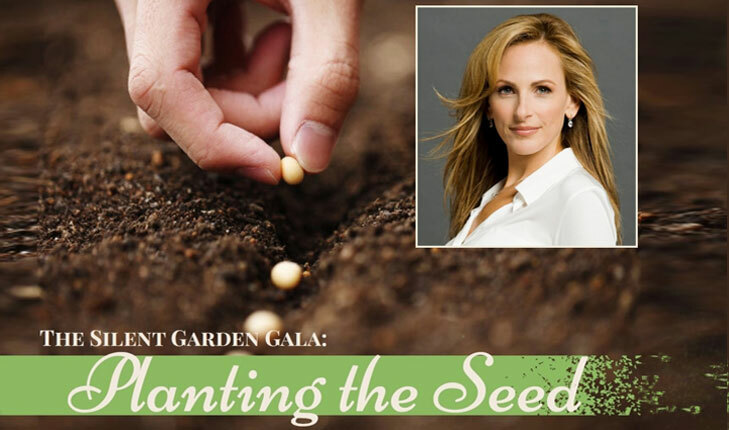 The Silent Garden program at Fresno State will bring Academy Award-winning actress, author and deaf advocate Marlee Matlin to the Valley as the guest of honor at The Silent Garden Gala at 5 p.m., Saturday, February 25 at Fort Washington Country Club (10272 N. Millbrook Ave.) in Fresno. The gala will support student scholarships within The Silent Garden program at Fresno State. The gala begins with cocktails at 5 p.m. and dinner at 6 p.m., followed by the program and live auction at 7 p.m. Matlin will be joined by Fresno State President Joseph I. Castro and First Lady Mary Castro, whose father is deaf. Mary Castro and Dr. Paul Ogden, the founder of The Silent Garden, will provide keynote remarks. Graciela Moreno, of ABC 30 Action News, will serve as the evening’s master of ceremonies. Founded in 2008, The Silent Garden is a program within the Department of Communicative Sciences and Deaf Studies at Fresno State that provides educational programs, workshops and resources to the deaf and hard of hearing community in Central California. The gala’s theme, “Planting the Seed,” reflects a new phase in The Silent Garden with growth towards an executive director/master gardener and the development of scholarships for Fresno State students interested in majoring in deaf education and sign language interpreting. Proceeds from ticket sales, and the live and silent auctions, will go toward the scholarships. Steve San Sebastian of Fresno Auction Company will lead the auction. Local opera singer Katharine McGregor will provide musical entertainment for the gala, accompanied by certified deaf interpreter and Fresno State lecturer, Rosemary Wanis. Dinner will be followed by a night of dancing to the sounds of Los Angeles DJ Ethan Castro. Sponsors include the Office of the President at Fresno State, the College of Health and Human Services, the Kremen School of Education and Human Development, Castro Accountancy Corporation, Victoria and Michael Bernhardt (McCormick Barstow), Jim and Ann Corley, Laura Hamill, Dan and Barbara Koontz, John and Rebecca McGregor (McCormick Barstow), Ruthie McLeod, Ellen Bowman and Gary Morse, the Montan family, Paul and Anne Ogden, Nancy Grosz Sager and Paul and Sally Taylor. Tickets for the event are sold out. To get on the waiting list or to “plant a seed” and donate to The Silent Garden, visit http://bit.ly/SilentGardenGala2017. For more information, contact 559.278.5590.